After the post I wrote on Zouk, the feisty little French witch, I thought it would be nice to rummage through our collection of books with subjects loosely related to Halloween. My list will not be as long as this elaborate one where you will find great suggestions by age range. But our top 5 contains five tried and tested books that you can trust will please young readers in search of a not too frightful reading session. 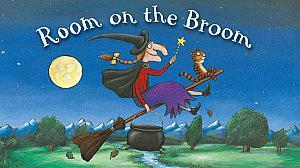 First, I thought we should start with one of our favourite witches in the classic Room on the Broom by Axel Scheffler and Julia Donaldson. 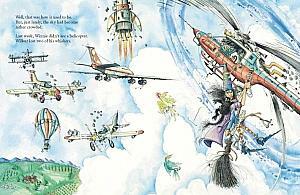 Do I really need to introduce Julia Donaldson considering the Gruffalo has sold over 6.5 million copies? I’m really not sure. My son’s currently obsessed with Superworm that he read at school, and I have read with him and his sister the Gruffalo, Zog, Stick Man and the Smartest Giant in Town countless times. Now the fact that I have a child who’s allergic to cats does not mean that we don’t love feline creatures, quite the contrary actually. At the moment, we all have a bit of a crush for Wilburn, Winnie’s companion in the series of books Winnie the witch by Valerie Thomas and Korky Paul. In Winnie Flies Again, my two kids love seeing Winnie both puzzled and scared when she turns her broomstick into a bicycle and later a skateboard in order to avoid the dangerous flying machines that she keeps facing in the sky. I’m not giving away the end as it is hilarious and unexpected, but trust me, this is a good one! A more recent discovery for us is Mouse’s First Night at Moonlight School by Simon Puttock and Ali Pye. 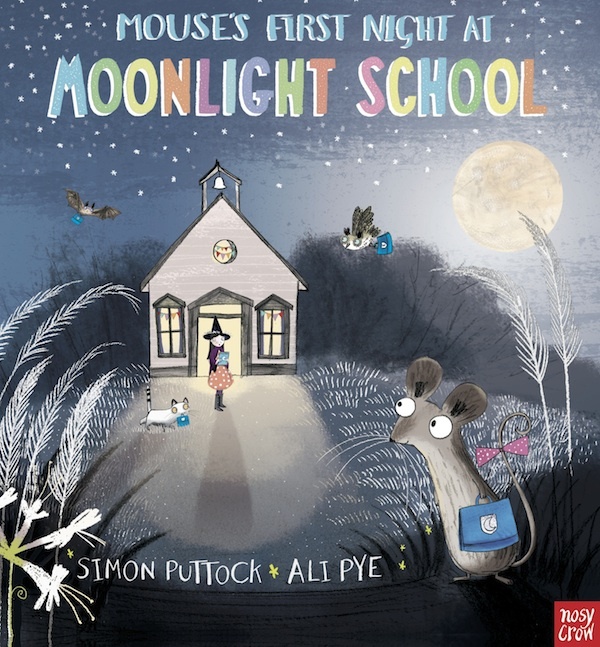 It is a mouse’s first night at school and it’s going to take all the patience of her teacher and the kindness of the other pupils bat, cat and owl to make her feel less shy. This album is full of exquisite details that my children love: the jars and books of spells on the shelves of the classroom, the tables and chairs that are just right for each of the creatures, and the shiny bits on the cover. You can see how welcoming the classroom is on the illustration I chose for the whole post. This book would also be a great choice for kids starting school, one to read with their parents during a peaceful summer at home. Finally the last two titles we chose are quite different. If your children like books like Where’s Wally? 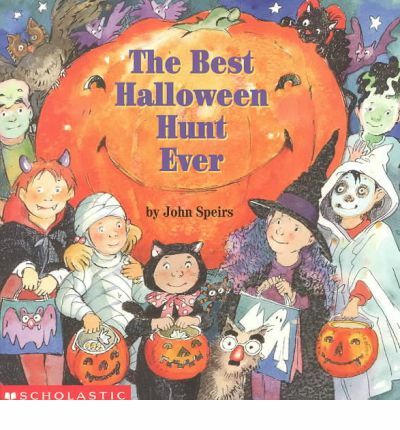 and challenges, they will love The Best Halloween Hunt by John Speirs. Fear not and enjoy the mazes! All the answers are at the back if your little ones get too frustrated. This one is great to keep them busy on the train, or when you’re waiting for a meal at the restaurant. 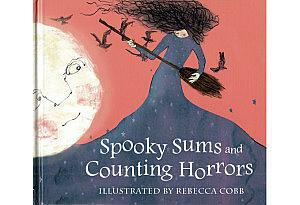 And last but not least, here is another book by Rebecca Cobb titled Spooky Sums and Counting Horrors. I know I have already reviewed another book by Rebecca Cobb, but this is such a hit with my son who loves counting that I could not keep it off this list. 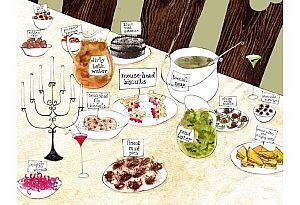 Slightly older readers will delight in the gruesome details of the feast’s preparation. Look at these cocktails, aren’t they delightful? My son adores the ten dancing monsters all in pairs. the yeti, the mummy, the dragon and dracula are clearly having the time of their life. I like the fact that at the end of the party, the little ghosts, exhausted yet happy, and needing their beauty sleep go to bed like everyone else. 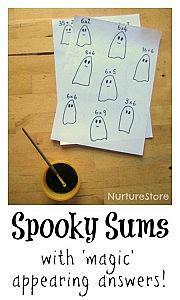 If your kids are into numbers, you should try some of these Halloween maths games. 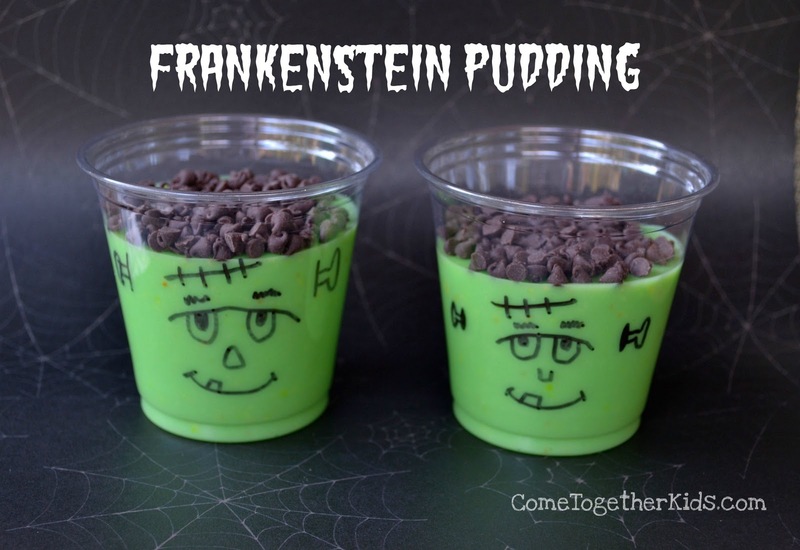 I like the idea of spooky sums almost as much as that of Frankenstein puddings (although in the case of the later, I would probably change the recipe for a pistachio flavoured custard and homemade double chocolate cookies). 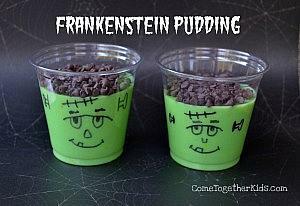 For more Halloween ideas, see my thematic board on Pinterest and have fun this Halloween!